Deputies in Polk County are investigating a hit-and-run crash that left a 17-year-old injured in Lakeland early Tuesday. 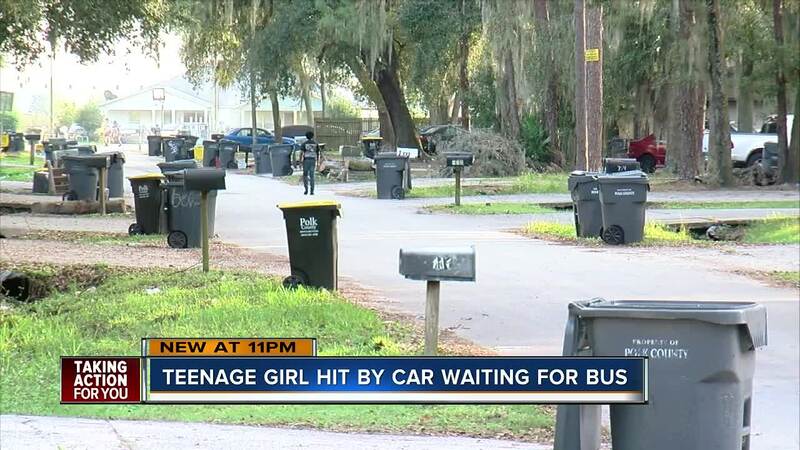 LAKELAND, Fla. — Polk County Deputies are investigating a hit-and-run crash that left a 17-year-old Lakeland girl injured early Tuesday. 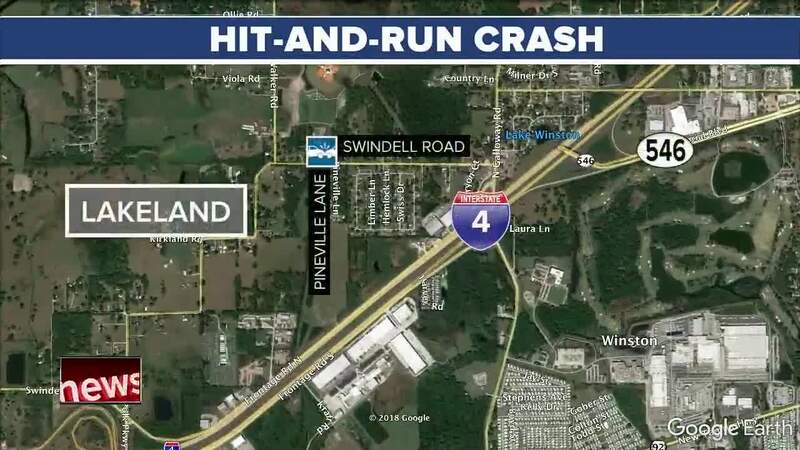 At approximately 6:30 a.m., Elani Miller was walking east on the south side of Swindell Road, just east of the intersection with Pineville Lane. An SUV going eastbound struck Miller and continued on toward Galloway Road. The impact threw Miller into a watery ditch. She was transported to a local hospital with two broken legs and a broken wrist. Miller is expected to recover. "You left my child there, my baby there," said Suzette Miller, the child's mother. "You didn't even have the common courtesy to call 911. How do you live with yourself? How are you going to sleep at night?" Miller was heading to a city bus stop at the time of the hit-and-run. Her mother said she ran to the ditch to check on her daughter as the crash happened close to the family's home. "Thank God, I left her there because both legs were broken and her left hand was broken. I could have made things worse," said Suzette. According to a witness and debris left behind, the suspect vehicle is possibly a 1999 to 2006 dark-colored GMC Yukon or a 1999 to 2006 dark-colored Chevrolet Suburban or Tahoe. "Ran over her and left. What kind of person are you anyway? I can hear your excuses. I did not know. I thought it was a tree branch, I thought it was a dog, I thought it was a hog, a log. It was a person. 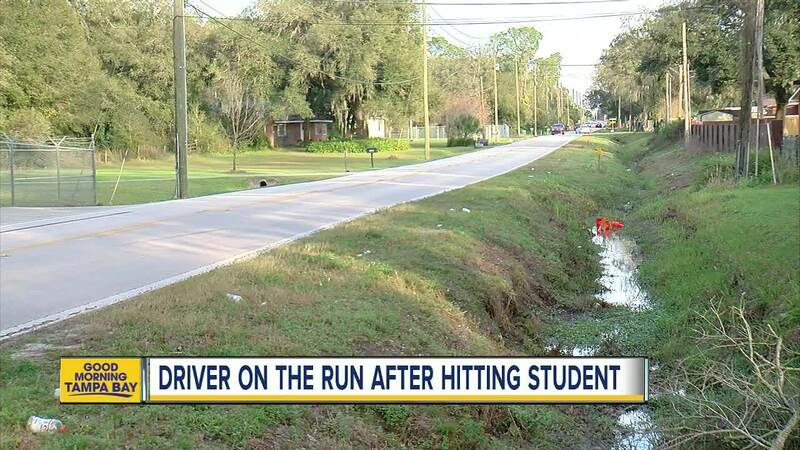 A real person, a child trying to make her way to school in the dark this morning," said Sheriff Grady Judd. The student's mother said she is grateful her child will recover. She is not sure when she will get out of the hospital. "Thank God, my child is living right now even with all these injuries, she's able to live and have breath. As a mom even when my kids are sick, I rather be sick and for her to be in this hospital is not fair. She's only 17 and I don't care how old she is she's always going to be my baby," said Suzette. If you have any information about this incident, please call the Polk County Sheriff's Office at 863-298-6200 or you can submit an anonymous tip to Heartland Crime Stoppers at 1-800-226-8477.